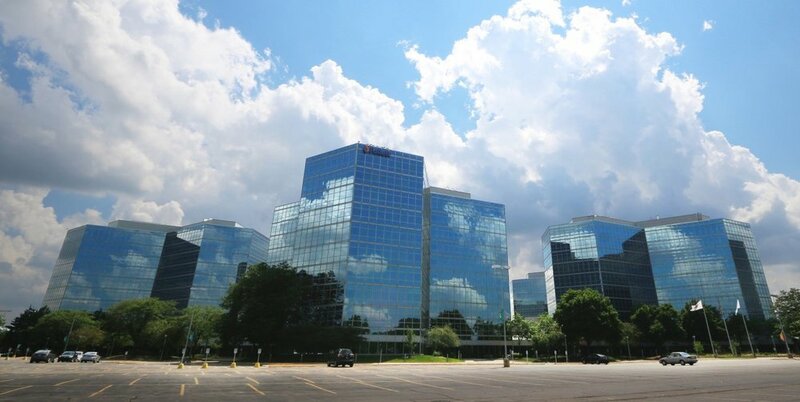 WESTCHESTER, IL (August 10, 2017) NAI Hiffman is pleased to announce the completion of two new offices leases at 4 Westbrook Corporate Center in Westchester, Illinois. In the first lease, Legacy Professionals, a certified public accounting firm, is relocating from 311 South Wacker and will occupy 20,673 square feet at Westbrook Corporate Center. Additionally, Regent Surgical Health recently leased 5,669 square feet of space to accommodate its business services in bringing together surgery center partnerships with hospitals and physicians. Westbrook Corporate Center is a five-building, 10-story, state-of-the-art office park conveniently located within minutes from I-294, I-88, I-290, and suburban Oak Brook. NAI Hiffman Executive Vice Presidents, James Adler, Dan O’Neill, represented the landlord, Blackstone, in the transactions. Cushman & Wakefield’s Jeffrey Skender represented Legacy Professionals and JLL’s Andrea Van Gelder represented Regent Surgical Health.